Today’s Seattle Times reported on how the exchange rate wreaked havoc on the American waiting list for the La Marzocco GS/3 — their first machine designed with home use in mind: Retail Report | Espresso-machine price leaves some steaming | Seattle Times Newspaper. For two years, La Marzocco promised a hefty $4,500 price tag for the device. But when the device was finally unveiled for sale by the American distributor for Franke late last year, two years of Bush Administration spending like a drunken sailor on shore leave depressed the U.S. dollar enough to jack up the price of the Italian-manufactured machine to $7,500. Thus making the New York Times‘ exaggerations earlier this week seemingly rank a little lower on the hyperbole scale. But like the confused Food Network viewers who insist upon commercial ovens in their home kitchens, regardless of the Byzantine building codes for ventilation systems required by these megaliths, somehow we doubt that the extra $3,000 is really going to stop someone that hell bent on consumption. The Euro / US dollar fluctuation, at worst, had to do with 20% of the price increase. The question to be put to Franke is what accounted for the other 40%+ in the price jump. thanks for reading, and thanks for pointing out to the folks that the whole thing is a $20,000 scam. and, nice blogs here. i think i’ll stick around and kick the tires a while. The price discrepancy comes from the strategic change in distribution channel. $4500 was the price if LMI sold it directly to the customer. The new price is the direct consequence of their decision to sell GS/3 through resellers instead. The $7500 (est.) is what resellers would charge the customer. Two reasons for this change: LMI’s business model is not designed to handle direct sales and selling GS/3 direct competes against and undermines roasters/resellers. I just saw a follow-up article in the Seattle times on Espresso Machine Contractors in Seattle offering the unit for $6,000 and went to their site. 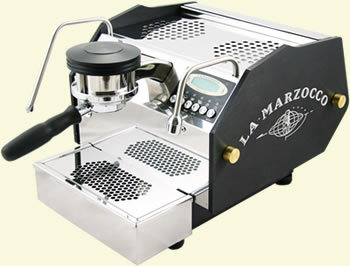 It redirected me to marzoccoman.com where I found it! Sure enough. $6,000. I guess someone found a way around the problem? And today that site has it for $7495. Yup, a $5 discount. Woo-HOOO! Are you sure? It still says $6000 when I go to their site.